Oh boy. The big day has arrived. Ready or not, here they come….and you are sure hoping you are ready! Whelping box, check. Surgical gloves, check. Clean towels, check. 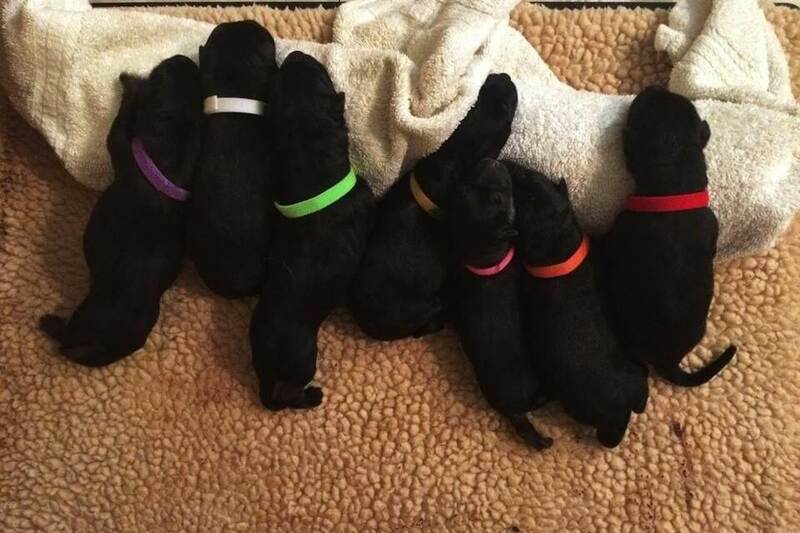 Puppies typically look almost identical when first born, so if you don’t already have puppy id collars for your litter, it is a good idea to get some started your way. What else? It seems there is nothing else to do but wait. Oh, and review everything you think you’ve ever learned about how to help your dog with whelping. That is what this post is designed to do! Let’s make sure you’re prepared. 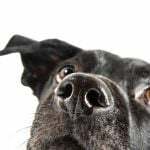 When you first discovered your dog was pregnant, after frantically searching to see how long dogs are pregnant for, you probably thought 58 to 68 days of gestation sounded like a good, long time. But those scant weeks sped by, and now you are full of the jitters. So first – this is normal. Oh-so-normal! Your dog is like your own child and now she is having kids of her own, and you are nervous for her, and for you, and for all of it. but you must be well prepared. When it comes to dogs giving birth, remember that your dog knows exactly what to do, even if you don’t. This is because dogs come with fabulous whelping and parenting instincts pre-installed. This also means you really are your dog’s assistant on whelping day. Your job is to help – to assist – to follow her lead. Also, the best way you can help your dog giving birth is by staying calm. Your dog is bonded to you symbiotically in the way that only fully domesticated pets like dogs can be. If you are super-stressed, your dog will become super-stressed by association. This shared stress can cause preventable complications for a pregnant dog on whelping day. This checklist can help you to stay calm so your dog can stay calm. We will go over each of these categories here – this is just your “master checklist” to turn to at first signs of panic. Also, keep in mind that it is always better to over-prepare than under-prepare. Not only will this give you something productive to do with your nervous energy, but it can really come in handy when whelping begins! P.S. Since many dogs whelp in the early morning hours, you will need to know where to go for emergency assistance just in case your vet is unavailable. Program the number for the closest emergency vet hospital into your phone. Program your vet’s after hours emergency number into your phone. Be sure your mama dog is bathed, groomed and clean pre-whelping. Be sure to have all of your supplies ready and waiting. Be sure your car is gassed up and your phone is fully charged. 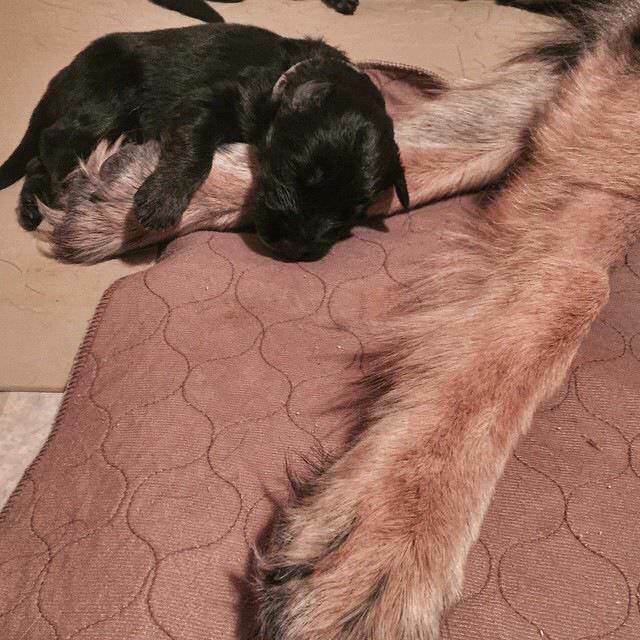 Ask your partner/friend or a mentor who is familiar with whelping to assist you. Backup: ask an experienced friend or mentor to be available for phone/video support. If you have kids of your own, have a babysitter booked or on call; same goes for a petsitter if your other pets will need trained care. Know the warning signs that your dog/puppies needs your assistance. Know what to do with the newborn puppies immediately after they whelp. It is a good idea to alert your vet in the few days prior to your dog’s anticipated whelp date. At this time, you can gather any useful phone numbers, including recommendations for emergency hospitals or clinics. If for any reason you have few or no options for after-hours or emergency support in your area, check in advance to see if you can arrange to be on video call via Face Time or Skype with an experienced breeder or a vet in another geographic area. At the same time, you can arrange for a babysitter and/or petsitter to be on call. Or you may want to go ahead and book the sitter(s) at the first signs of whelping so you can keep your attention fully on your dog and the whelping process. is performing in this picture. You definitely, definitely, definitely want to have a whelping box ready. We’ve used this heating pad for every litter we’ve ever had. It is fantastic, the puppies can crawl onto it and off of it if they are too warm or too cold. You’re going to need a lot of clean towels and probably don’t want to use your bath towels for what you’re going to be wiping up. If you think 100 is too many… email us after your dog whelps and let us know if you still think that! 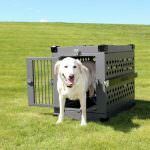 First, you want to make sure your whelping box is set up properly. 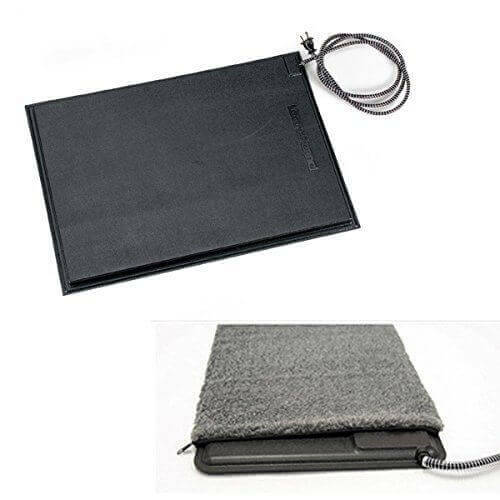 Locate the box in a warm, secure and private area that you can close off from the rest of the surrounding area. Place the plastic sheet under the whelping box (ideally your sheet is large enough to prevent piddling puppies from staining your floor surface). The box itself needs to have high sides (to prevent drafts and puppy escape). It needs to have a roomy entry/exit path (for mama to get in and out). It also needs to be longer than your dog is when she lays down flat at full length. And it needs to be wide enough for your dog to lay on her side with all her puppies laying beside her to nurse. When your dog begins to whelp, you will want to have a safe, warm, sanitized area where you can place her puppies out of the way as your dog continues to whelp. This is what the laundry basket, towels and heating pad are for. Be sure to choose a laundry basket that will accommodate all of the puppies! 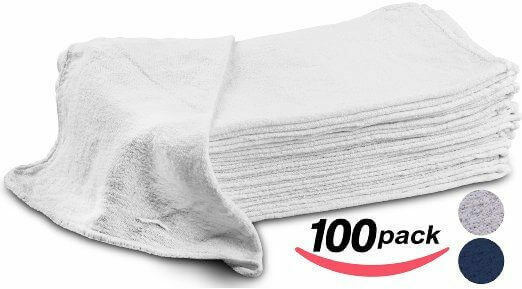 Line the laundry basket with some clean towels. Place the waterproof heating pad beneath the laundry basket – this will keep the puppies warm. Consult with your vet about the proper temperature to set the heating pad on and attune yourself to listen for sounds of discomfort on the day of (crying puppies = too hot; whimpering puppies = too cold). You will use the clock/watch and notepad/pen to note down the time each puppy is born. This can be helpful to prepare for each new birth and also to know when all the puppies you are expecting have been delivered. 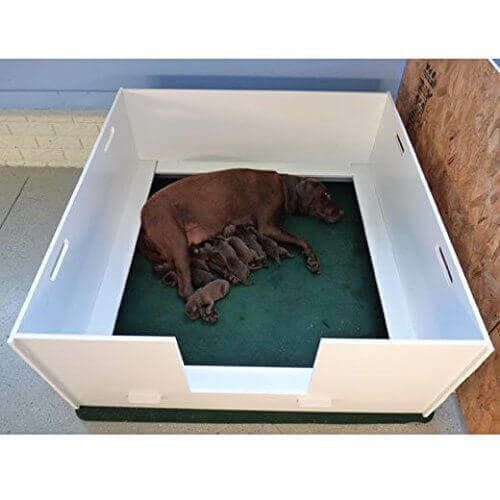 NOTE: Be SURE your whelping box area is roomy enough so your dog can have a direct line of sight to the laundry basket and her puppies while she continues whelping! The first thing you will want to do to prepare your dog for whelping is to give her a light bath if at all possible. If she has long hair, you may want to have her groomed and trimmed as well. This will make the whelping process safer, cleaner and easier for all concerned. Next you will want to confine her to the house or a limited outdoor space until she whelps to keep her as clean/hygienic as possible. 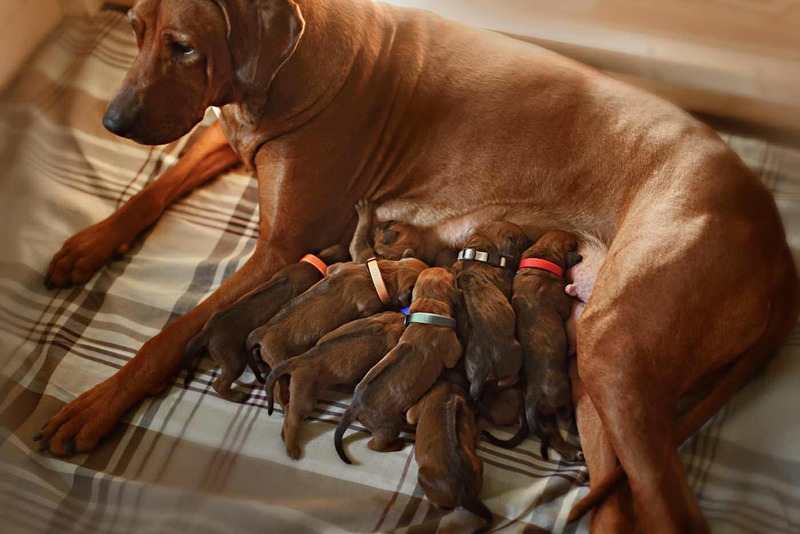 On whelping day, remove her collar and tags for her safety and that of her puppies. She may need to go out to do her business before or in between whelping, so you can use the temporary collar along with a light, short leash to take her out. You will also be glad to have a flashlight if whelping happens (as it often does) at night or in the early morning hours. sterilized scissors ready before whelping. We use slip leads with every single litter. and you should only take her out on a leash. is important if you have to cut an umbilical cord. here is a brief overview of the 3 stages of dog labor. In this first stage, your dog is not yet ready to whelp. But her body is getting ready for whelping and she will be aware of what is occurring. The cervix will begin to dilate (expand) and soften to permit the puppies to pass through the birth canal and be born. Your dog may whimper. She may moan, whine or hide. You may hear her panting or rustling around in her whelping box shredding things. So long as her breathing seems relatively normal, you can just remind yourself that the sounds, the behaviors and the occasional panting are normal too. When the first puppy descends into the birth canal, Stage 1 has concluded and Stage 2 is beginning. Stage 2 begins when your dog starts having contractions. During this stage, puppies will be born. Each puppy may take up to 4+ contractions to come out. Your dog may make lots of sounds during the contractions and labor or she may not make any. She may stand or sit or even lay down. She may want you with her or she may want to be left to herself. While nothing about this process is particularly relaxing for her, it will help if you are relaxed and very attentive to what she seems to need from you. You will know a puppy is on its way when you see the water (amniotic) sac appear and burst. Then a placenta-enclosed puppy will then appear. 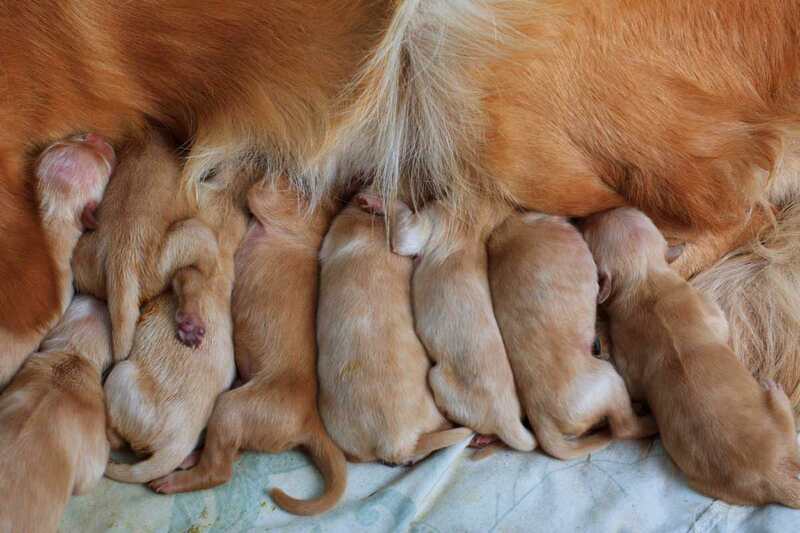 Stage 3 itself happens in stages, usually between each whelped puppy, when the puppy’s placenta emerges and is expelled. Sometimes each puppy will come out with its own placenta, but sometimes a placenta will come out ahead of or behind the puppy. Your dog is likely going to eat the placenta. It’s not the prettiest thing, but it’s normal and important. Also be sure to write down each placenta (as you do each puppy) as it arrives, since puppies do not always come out at the same time as their own placentas. By keeping track of how many placentas have arrived, you can figure out if there are still puppies waiting to be whelped. You need to know that all of the placentas have come. A retained placenta is a dangerous medical condition. Even with nature’s best intentions, your mama dog’s natural instincts, your meticulous research and preparation and the absolute perfect setup, sometimes things still go wrong during the whelping process. Here is an overview of the most common issues that can arise and how you can assist your dog. 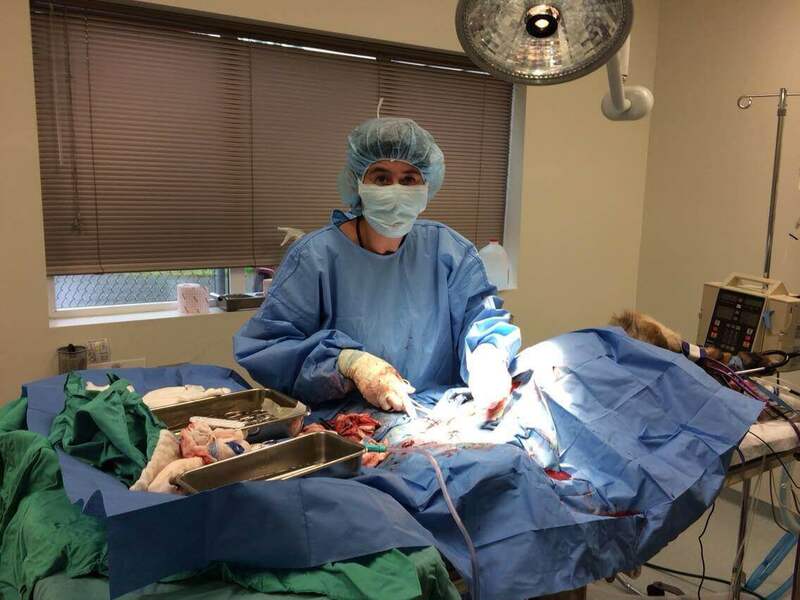 In normal whelping, the mother dog will tear open the placental sac, ingest it and then roughly lick the puppy clean to stimulate blood flow and circulation and ensure the lungs are clear and the puppy is breathing properly. 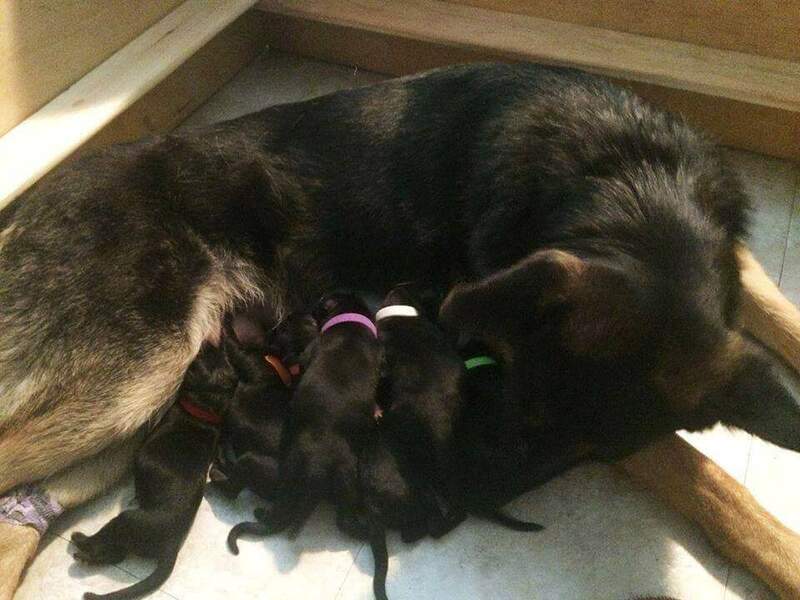 If for some reason your dog is too stressed to tend to her puppies, you will need to do that for her. First, cut open the placenta and gently wipe the fluid away from the puppy’s face, nose and eyes and body. Take a clean towel and rub the puppy to stimulate circulation and ensure proper breathing. 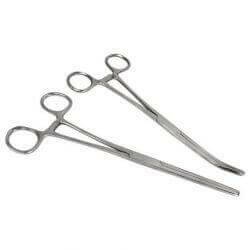 Clamp the 2 Hemostats around the umbilical cord and use the scissors to crush the cord in between the 2 clamps. This will sever the puppy from its mother. Use the dental floss or thread to tie off the puppy’s end of the umbilical cord. Dip the tied-off end in the antiseptic solution for sanitary reasons. Place the puppy in the warm laundry basket and move to assist the next puppy as needed. A puppy gets stuck in the birth canal. Sometimes, and especially if a puppy is very big or comes out at a strange angle, the puppy will get stuck inside the birth canal. If this occurs, you will need to help the mother whelp the puppy. You can use the petroleum jelly to gently lubricate the vulval opening if needed. Be sure you are wearing your surgical gloves, then gently grasp the puppy’s legs and feet. 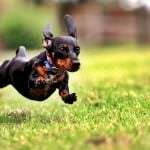 Use a downward gentle sloping motion to draw the puppy out of the birth canal. This must be done with great precision and care to avoid breaking the puppy’s back or legs! You know there are more puppies to be whelped but your dog has no further contractions. There are times when a mama dog suddenly ceases to whelp even when there are still puppies waiting to be delivered. This can be caused by a condition called uterine inertia or other reasons. You will want to call to your vet at this point. Also try to take your dog out for a brief walk and some fresh air to see if this restarts the whelping contractions. A smelly discharge can indicate there is a problem with infection, as can bleeding and a high fever (of 102.8 degrees Fahrenheit or greater). If this is the case, you will want to bring your dog to the vet right away for treatment. Your dog has contractions for 2 solid hours or more and no puppies appear. If contractions continue for more than 120 minutes and there is no sign of a puppy on its way, don’t wait – call your vet ASAP! Your dog may need a shot of oxytocin to stimulate delivery or a C-section. Unfortunately, the end of the whelping process does not guarantee the end of any potential problems. 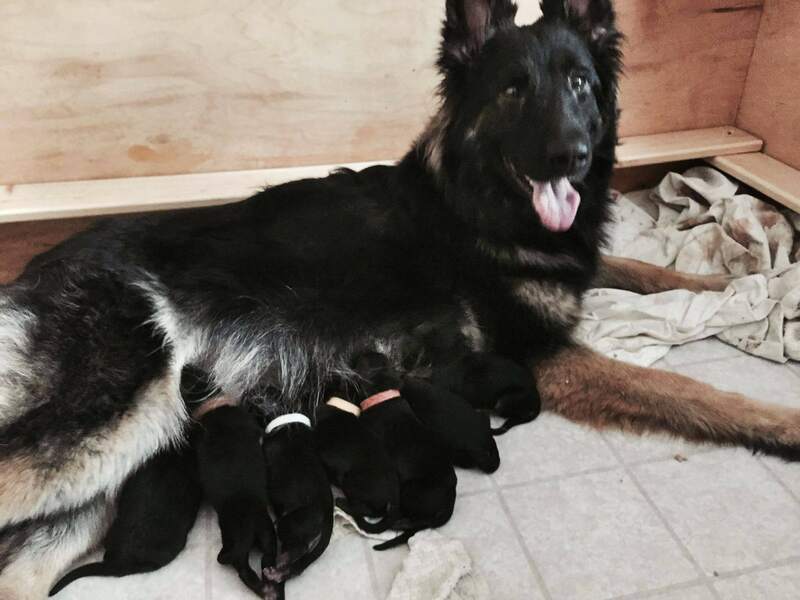 Just as with human mamas, sometimes nutritional imbalance (hypoglycemia), mastitis, eclampsia (milk fever) or other issues can interfere with her interest in her puppies or ability to care for them. So you must always stay on high alert to be sure the puppies are receiving the food and care they need and that your dog is on the mend after whelping. Your dog’s teats become red and/or swollen. Mastitis is the medical term for the swelling of a mama dog’s teats. When this occurs, it is typically because the presence of post-whelping bacteria has begun to cause infection inside the soft tissue of the mammary glands. In addition to the swelling, your dog may discharge pus or odd-looking milk and she may run a fever and exhibit extreme lethargy. 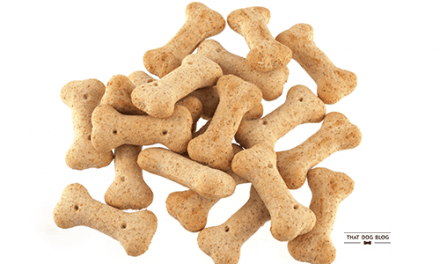 It is important to get your dog to the vet right away if mastitis is suspected. You should also begin to feed her puppies a milk substitute until your vet advises otherwise. 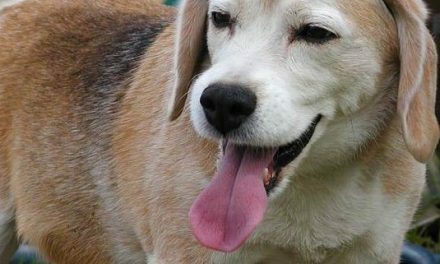 Treatment usually requires draining the mammary glands and starting your dog on a round of antibiotics. 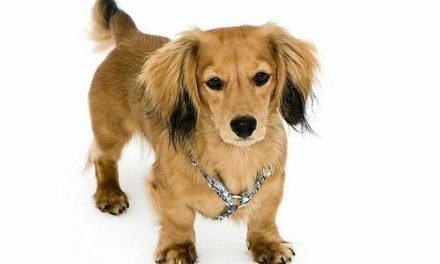 Your dog begins to walk with stiff legs, runs a high fever and breathes rapidly and shallowly. If you see these symptoms, run (don’t walk) to the vet! Your dog may be suffering from eclampsia or milk fever. This condition can quickly become deadly if left untreated. You will also want to feed her puppies a milk substitute, since her milk will not be safe for them to consume. Eclampsia is caused by severe calcium deficiency, so your vet will likely provide an intravenous calcium treatment initially and then move to oral calcium supplements after your dog has stabilized. Be guided by your vet as far as when/if it is safe to allow the puppies to nurse again. If you suspect Eclampsia in your dog, contact your veterinarian immediately. 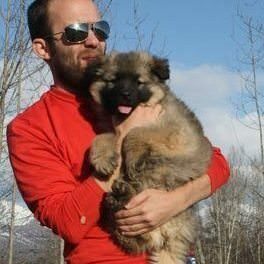 Your dog begins to emit a thick brownish vaginal discharge after whelping. It is not uncommon for a mama dog to retain some placentas or even a non-viable puppy in her uterus after whelping seems to be complete. If this occurs, the symptoms will be what will tell you this has happened. The emission of a thick brown vaginal discharge accompanied by fever, extreme lethargy, vomiting and diarrhea (past a mild level that is normal post-whelping), fast panting, dehydration and lack of interest in food can all point to metritis, or uterine infection. 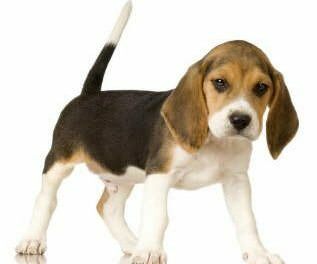 Your dog will need a course of antibiotics and her puppies will need to be fed a milk substitute until your vet indicates otherwise. Helping your dog with whelping is a huge responsibility and not one to be taken lightly. Your willingness to partner with your dog as she whelps can forge a new bond of closeness, connection and trust between the two of you that will never be broken. And the days you and your dog spend together admiring, loving and caring for her puppies will make memories to last a lifetime and then some. And all the research and preparation you do will be worth it when you are able to help your dog with the most important moment in her life – whelping!